One of the more popular ways to prepare these noodles is to pan fry it (or lightly deep fried) and then it top it with a saucy meat or veggie gravy. This gives the noodles a crispy texture with specks of softened sauced areas. Another way to use is it is to cook it in a lot of sauce (and skip the pan fried/deep fried) step – this produces a more wet and softer noodle. Out of the package, I find the noodles are a bit dry and hard to work with and I also find it dry to eat as well. To make it easier to cook with and to produce a more pliable texture I like to soften them up under hot tap water for a few seconds to get everything damp before cooking it. As with all noodles, I don’t recommend boiling it prior to stir frying it because it tends to produce a mushier noodle dish. It also loses it’s ability to hold its shape and breaks into shorter strands of noodles. You can find these noodles in Asian grocery stores in the refrigerated section. They usually come packaged in a plastic bag. These should be bought fresh and not online. When you are buying these, make sure to pay attention to the expiry date as they are susceptible to mold. But regardless, of the date check the noodles anyways for specks of fluffy white bits. I have found noodles with mold on it (that hasn’t surpassed the expiry date) due to poor storage conditions. These noodles have a bit more of a nutty eggy flavour. Not very heavy in flavour, I find they are more of a transporter of delicious sauce and textures! Depending on how you use cook them, they can be crispy or soft. Pan fried or deep fried noodles will produce a crispy nutty textured fried noodle and noodles that are heavily sauced will produce a more wet softer textured noodle dish. 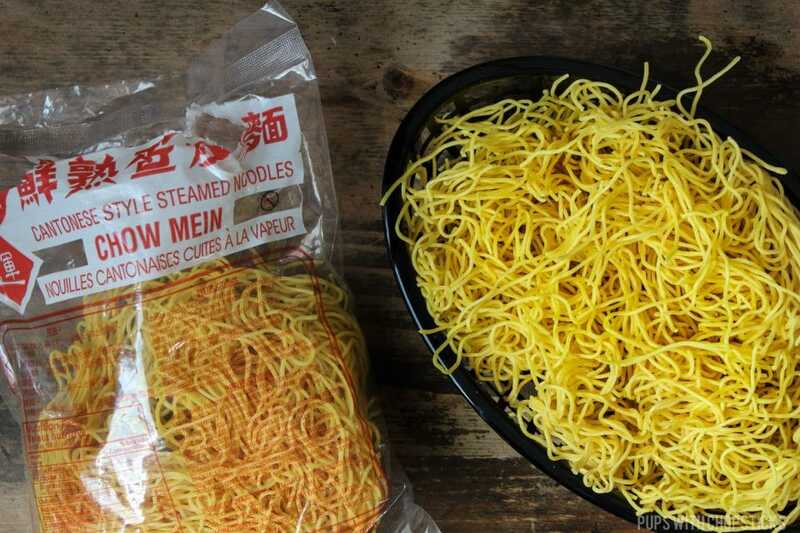 Store these noodles in your fridge. If you are like us, and only use half a pack at a time, you can use a rubber band and re-seal the package and keep in the fridge but don’t forget about the expiry date and check for white fluffy mold specks before using the rest of it.